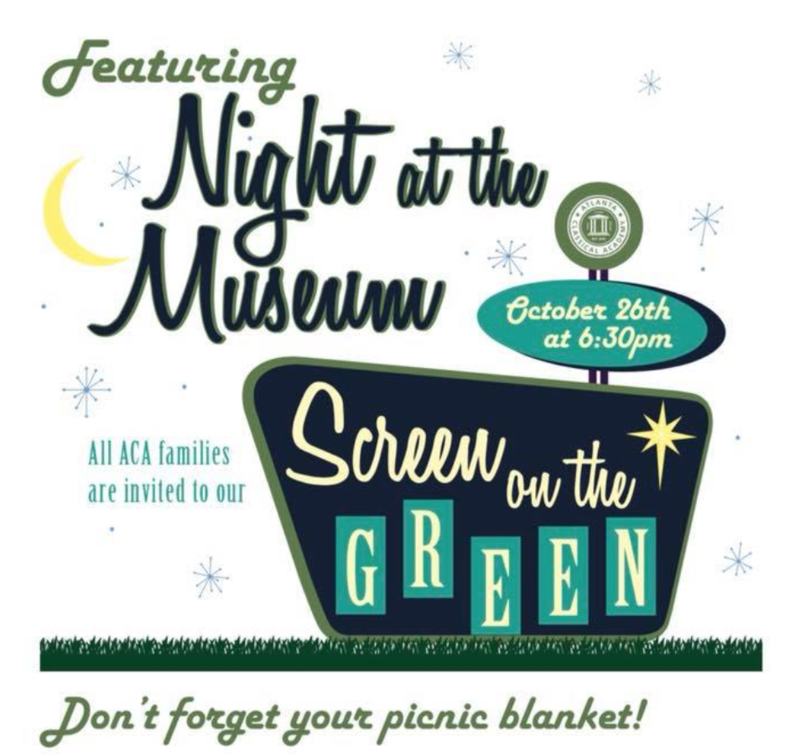 Please join us on Friday, October 26 for Screen on The Green featuring “Night at the Museum.” We will be selling candy, drinks, and popcorn. Families are welcome to bring their own dinner if they would like to have their meal while watching the movie. Doors open at 6:30 p.m. and the movie will begin close to 7 p.m. Parking TBD.